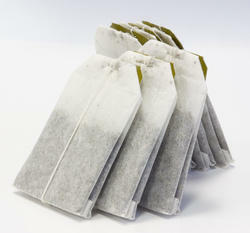 Leading Exporter of tea bags from Mumbai. We manufacture bags with aluminum foil within which increases barrier properties against moisture and makes these Tea Bags appropriate for packing material which become damp rapidly. These bags come with or without PE lining and aluminum foil (usually meant for tea and coffee). If you are searching for some bag that can protect the product from moisture, then we have the packaging solution for all these packaging needs. From dry goods to fresh produce packaging, we've created hundreds of helpful products for customers around the globe. It can also be used for fresh packaging products, food items, chemicals, erosion control supplies, etc. Looking for Tea Bags ?